We had so much success working with @ASUeeFacts on Uee's Birthday Magazine, so we decided we'd share the making of the magazine with you too! Who knows more about Raina, than her fans?! List below your Favorite Moments of Raina, Quotes by or about Raina, Things You Like About Her, any Fun Facts you know about her...etc! If you have any ideas about how to make her birthday extra special (like the Essay Contest we did for Uee) let us know! If you personally would like to add something to the magazine, let us know too. We'll also be adding our Playgirlz x Yellow Ribbon Campaign Collage in this magazine. If you have any ideas concerning this please feel free to share them with us. Go, Go! Let's do Raina proud! In the past, Raina always did her Christina impression and it's gotten better! I've got lots so I'm just going to pick a random 3. LOL @2:21-2:25 Raina tearing Nana's belt and then getting punished by the class leader with a hammer to the head. @0:24-0:40, also note @ 0:35 Jung Ah becomes air born.....LOL the aftermath @0:40-0:58, poor Jung Ah. @2:36 "I hope to become a respected singer where people respect me for my talents and skills. Since I have a lot of goals and confidence, if you ask me to do something. I will do it." 1) The name Raina means to give strength. Their manager give her the name intending for her to give strength to people with her voice. 2) In "My Teacher is Coming" Raina reveals she's been playing the piano for 10+ years... that was about 4 years ago so it probably more like 14+ years now. 5) This may not be a fact but I think Raina is very smart. When I saw her in Playgirlz School she appears to be very articulate(I don't understand Korean it's just how she spoke that makes me think this) and that may have contributed to why she was the only person to have ever been chosen as vice leader in Playgirlz School although one of the times was because she won a nose tickling contest. 8 ) Raina along with Nana didn't like Orange Caramel when the sub unit first started. See KBS JJC&HR 2PM interview for more info. 9) In Lee Sora's Music Plaze interview Nana said "Raina looks very kind but she could be very tough too." LOL which can be confirmed in Playgirlz School when you see Raina throw Jung Ah into the water during that wrestling game in episode 7. This article from musebro suggests that After School welcomed Hwayoung and Raina gave Hwayoung Raina's clothes to wear. It's clear from the photo that Raina's clothes don't match what Nana and Lizzy are wearing and Hwayoung clothes seems to match Nana and Lizzy but not what the rest on T-ara members had. Right now I'm open to the idea that the photo could be fake as well as the other stuff I've read said so I'm not sure whether I should have wrote that. I'll let you guys be the judge but keep your minds open. Does anyone know whether that picture is fake or not and whether it is from Music Bank? 11) Raina is a lyricist and has written the following After School/Orang Caramel songs; "Standing Here" i.e. the Korean version of M2M's "The day you went away", "Still/Yet", "Love Love Love", "Timeless". 3) She can be strong headed and tough as well. 4) Her determination she's shown in achieving her goals. 5) She's a pianist and the piano is my favourite instrument. 6) She's a lyricists and I like the songs she writes. 7) There are things about Raina that reminds me of Kahi. Lately it's been her physique. There's also her leadership skills, she's a pianist, a lyricist, when both Kahi and Raina were younger they look like boys. 8 ) She's pretty/cute and has an awesome voice. I think I may have missed something but that's all I can think of right now. @Marinesquad49 Which Playgirlz School episode has the runway fashion show that you are talking about? I remember in episode 6 Nana uses a table like a catwalk and in episode 9 they have a runway competition to decide who the next leader will be and YAY!!! Raina wins honestly I think Jung Ah should have won but the fashion stylist was being bias which I guess isn't a bad thing otherwise Raina would never get another chance to be the class leader. I don't remember Juyeon losing money in episodes 6 or 9 though. Are you thinking of episode 7 where Juyeon steals Jung Ah's money @2:50? Oh that's what you mean by Juyeon losing money . Also, @marinesquad49 I really want that gifset to be a thing!!! I'm excited to see your art! Its always so good! Maybe we can even feature it into the magazine! White Winter and Because of You. @6:52 RAINA!!!!!!!!!!!!!!!!!!!!!! I've just remembered something about Raina that makes me really like her and it's her passion for singing. You can see it in her like when she sings Ugly on Perfect Singer 140103. I don't like how she sang Ugly on Perfect Singer 140221 because the new make 5 mistakes and you're out rule made her sing for the sake of passing the challenge and that passion that I felt in her previous performance just wasn't there. But what I do like about that episode is when she sang after failing @1:45 also I'm going to add that cute stomping thing she does @2:02-2:04 to my favourite moments list. Raina is too good for that show if they are going to implement such a stupid rule. Although I am not very good at drawing on computer, I've tried and ended this way. ._. What does it say in Korean??? I've used that T-ara scandal to demonstrate Raina's kindness but honestly I don't have anything concrete to tie that picture to the T-ara scandal. 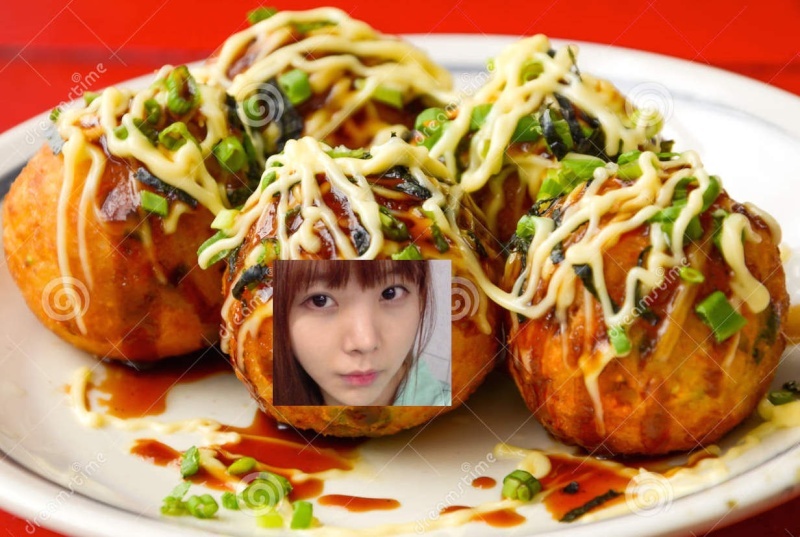 Right now I still own Raina something to demonstrate her kindness in case that picture is fake or has nothing to do with the scandal so how about this. In episode 11 of Playgirlz School, during the games to determine who dances to what songs Kahi becomes more and more annoyed/upset from Jung Ah's trolling(LOL Jung Ah bullies Kahi and Juyeon bullies Jung Ah). I think Raina picks up on how upset Kahi was at 6:13 to 6:22, in the back ground I think Raina says something to tell Jung Ah to give Kahi a piece of the sign(someone who can understand Korean please confirm if that's true or not) as Jung Ah was handing pieces of to the other members. If anyone is still interested, in one of my early posts on this thread I mentioned how it was said that Raina welcomed Hwayoung to OC's waiting room and gave her clothes to Hwayoung when T-ara wouldn't let Hwayoung in T-ara's waiting room. I thought that incident was the one mentioned at http://notara.tumblr.com/post/28482641381/the-complete-and-full-explanation-of-t-aras where Music Bank staff said people wittnessed Hwayoung not being allowed to enter her waiting room. This doesn't necessarilly mean that musebro's info is wrong because the post doesn't explicitly state when and where Hwayoung was bullied and not allowed to enter T-ara’s waiting room. I just assume it was the Music Bank incident because that's the only one I know of. The scene in the picture could still be one of multiple incidents that Hwayoung was bullied and force to stay out of her waiting room but I don't know anything to support this theory, or whether Raina really gave her cloths to Hwayoung. @3:36 to 5:10 Raina defeat 3 opponents in a row in chicken fight games. @4:56 LOL, BEG FOR MERCY ALL YOU WANT HYUNA, OH HYE RIN TAKES NO PRISONER WHA HA HA HA! But for our upcoming Playgirlz Times Relaunch in November, we hope to celebrate Raina (and Nana's) anniversary. We need help coming up with 50 facts about Raina! So, please post as many facts as you can! We'll be sending a print copy of the magazine to Nana and Raina via the Pledis fan mail, mail box! captainsprunchz wrote: We need help coming up with 50 facts about Raina! So, please post as many facts as you can! 1) She gets easily irritated(fact from an interview that I can't remeber where from...might be a tenasia one), LOL remember how she got annoy by San E when San E said all she wants is to be notice(i.e. give the attention) when they were on some show I can't remember the name of for now and what about when she gets annoy be Nana's resistance to Raina's attempt to convince Nana to when customer with an up size bow in episode 9 of Playgirlz School. 2) Raina and Nana didn't like the idea of Orange Caramel when they were introduce to the concept. 4) Raina has the most complaints towards Pledis(can remeber the interview I got that one from, you'll going to have to look that one up as well), I've got a lot of complains towards Pledis too. 5) Her voice is awesome and she's not afraid to publicly share it. LOL, look up that scene from My Teacher is Coming where she embarrass they unnies by sing out low in the coffee show. Sorry Sarah that's all I've got for now, I need to go to work on somethngi.